Reed Estates has officially moved in its first resident and the builder is gathering more applications behind it! Unit 15 has final plumbing in progress. Units 9 to 14 tile is in progress. From those units, Unit 13 will be the first unit to go to Final Plumbing the week of 11/19. Trim is in progress at Units 6 to 8. Units 5, 16, & 17 are in sheetrock. Rough mechanicals in Units 18 to 22 are being completed. City Rough Framing Inspections estimated to begin 11/16. We are also estimated to start rough mechanicals in Units 23-26 the week of 11/26. Final framing punch outs are being completed now in units 1, 2, & 3. 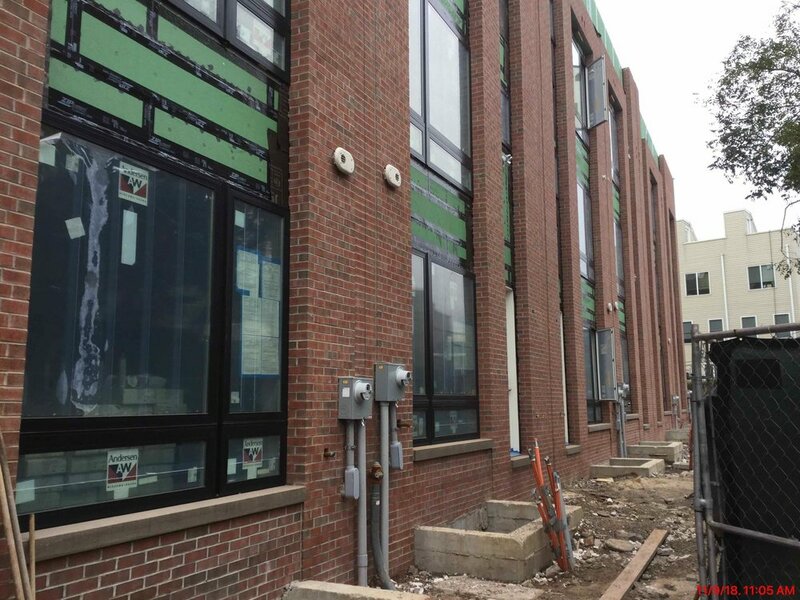 Façade install and underground utilities are scheduled to start 11/26.